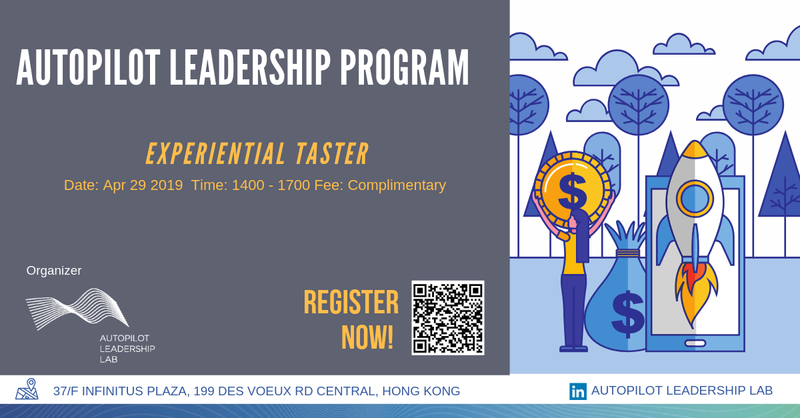 All intellectual property rights subsisting in all materials, concepts and information, either orally or in writing, delivered to you during the Autopilot Leadership Program (“Materials”) belong to Autopilot Leadership Lab Limited (‘Autopilot Leadership Lab’) or have been lawfully licensed to Autopilot Leadership Lab for use. All rights under applicable laws are hereby reserved. During the course of the participation of the Autopilot Leadership Program (‘Workshop’) or at any time thereafter, you agree not to (1) reproduce, disclose, distribute, transmit, broadcast, resell, modify and sell the Materials; or (2) use these Materials and/or derivative thereof to provide training, seminar, workshop, consulting, or similar business or marketing activity to your clients, affiliates, or to the public for the purpose of any gain or otherwise UNLESS you have obtained a prior written consent from Autopilot Leadership Lab. 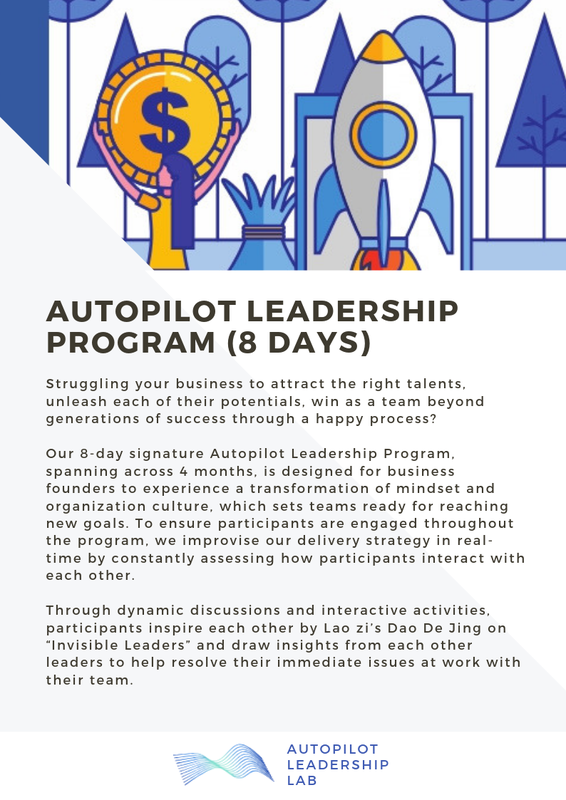 You understand and agree that Autopilot Leadership Lab does not grant you any authority (1) to use names or logos (i.e. 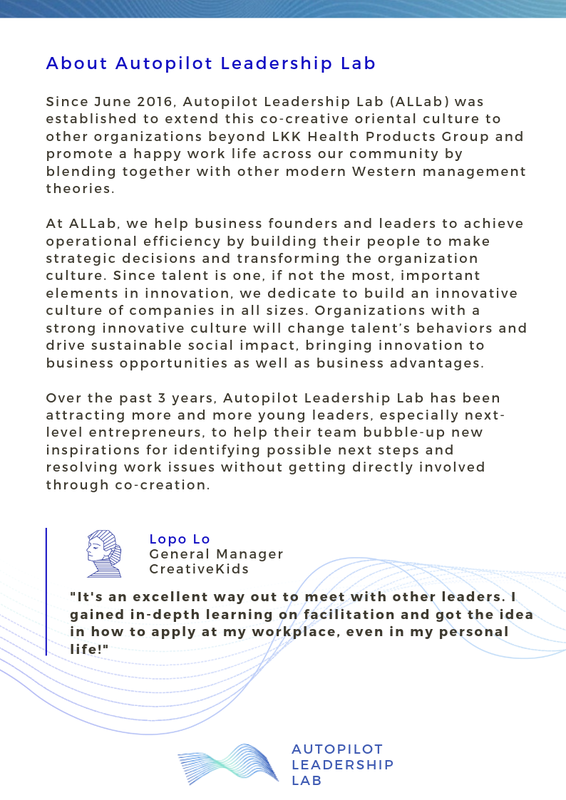 ALLab, Autopilot Leadership Lab) used by Autopilot Leadership Lab or (2) to, in any way, represent ALLab or Autopilot Leadership Lab without the prior written consent from Autopilot Leadership Lab. 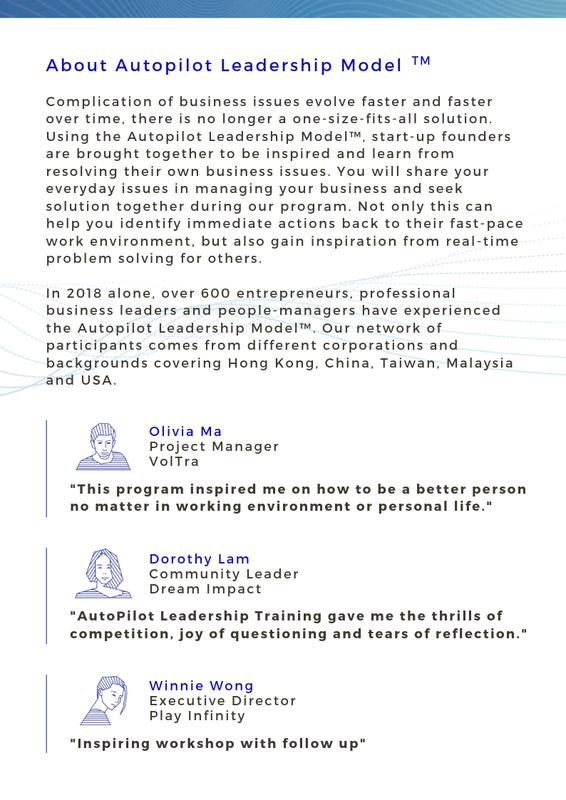 You agree that Autopilot Leadership Lab and its related companies are free to use, disclose, adopt and modify all and any ideas, concepts, knowhow, proposals, suggestions, comments and other communications and information provided by you to us ('Feedforward') during and/or in connection with the Workshop without any payment or attribution to you. You hereby waive and agree to waive all and any rights and claims for any consideration, fees, royalties, charges and/or other payments in relation to our use, disclosure, adoption and/or modification of any or all of your Feedforward. 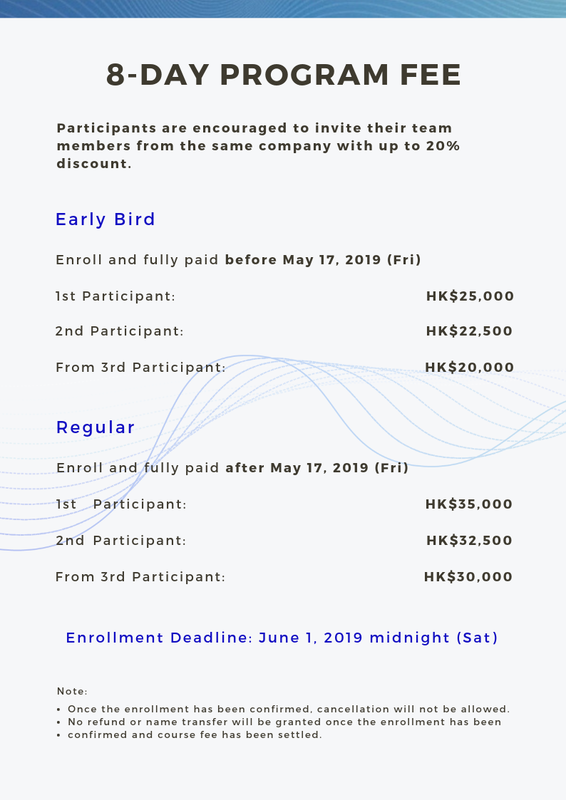 During the Workshop, we may take photos and video for record, production of report, promotional materials and marketing purposes. If you do not wish to be appeared in our photographers or video, please notify our staff members before the Workshop begins so that we can make suitable arrangements accordingly. Please confirm you understand and agree with the above terms and arrangements. I agree to the proprietary information / non-disclosure agreement and wavier. I agree to the use of my personal data for direct marketing of future services or events of Autopilot Leadership Lab Limited.